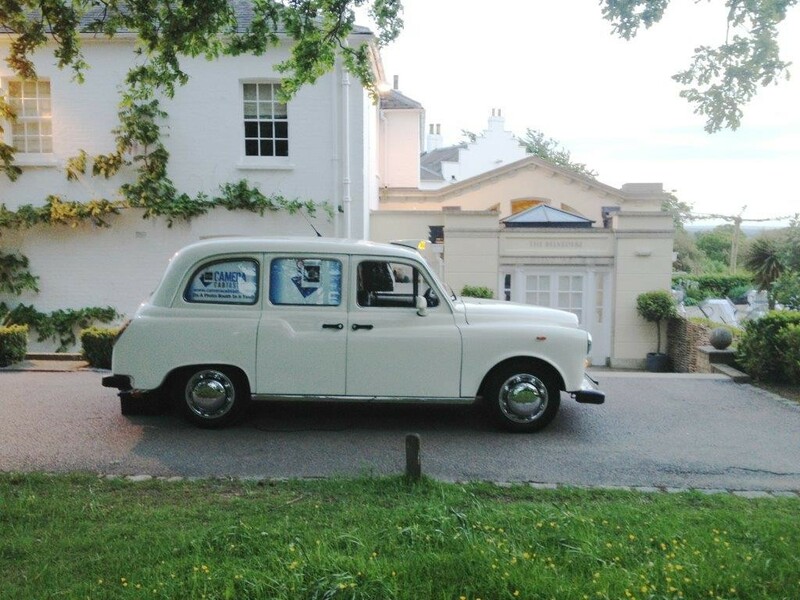 As you can imagine, we've visited some lovely Wedding Venues in our time and Pembroke Lodge is no exception. 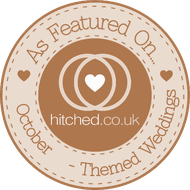 We've always had great feedback from everyone about what a lovely Wedding Venue it is. Embrace elegance on your wedding day when you book your wedding ceremony or reception at the magnificent Pembroke Lodge, a listed Georgian Mansion. This beautiful wedding venue, which is also a public tearoom, is one of the city’s most popular wedding venues due to its stunning views across the Thames Valley to the west. It is located in one of London’s largest and arguably most beautiful areas – Richmond Park – which comprises over 2,300 acres of unspoiled English parkland. It is home to over 600 deer which are free to roam where they please. Pembroke Lodge itself is set within 11 acres of landscaped gardens, maintained to provide a picturesque setting all year round. 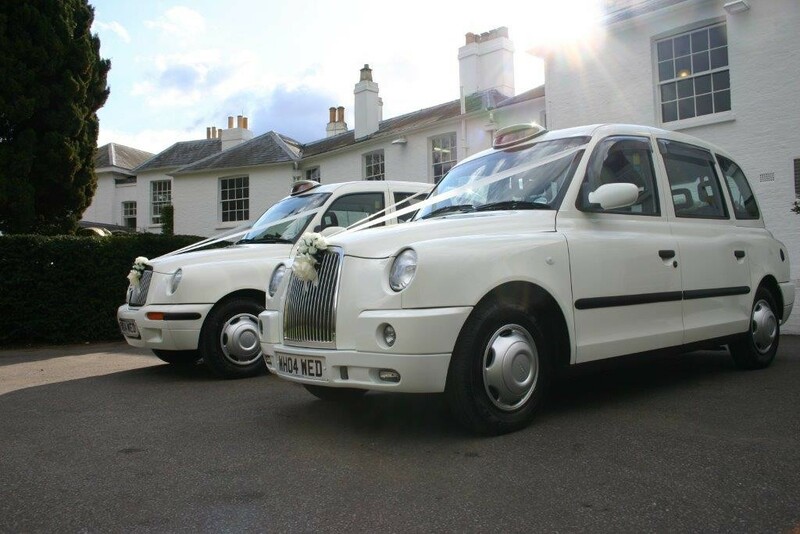 Car parking for 250 vehicles can be found nearby the grounds but your White London wedding Taxi or Classic Car may pull up directly in front of the entrance. Pembroke Lodge has two exceptional rooms to choose from for weddings and other special events. The Belvedere is a banqueting suite which has been custom-built to hold up to 140 seated guests or 200 standing (ideal for an evening party). 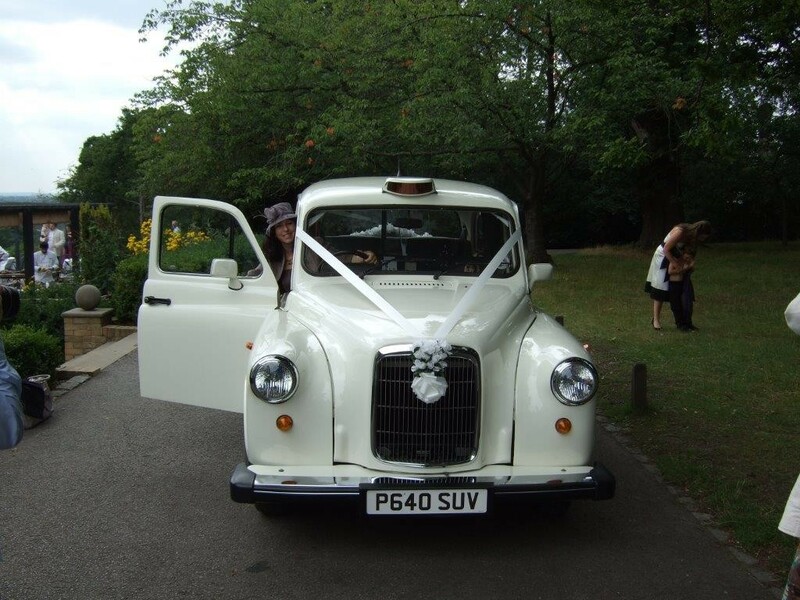 The Belvedere suite also provides ease of access direct to its doors for your wedding car, making it an ideal to accommodate our taxi photo booths. The Russell Suite provides Georgian elegance for up to 70 seated guests or 100 standing party goers. To ensure your wedding runs without a glitch the venue can provide a wedding coordinator, master of ceremonies or toastmaster if required. Pembroke Lodge is a popular tea room by day and has an excellent reputation in the catering field. Those booking a wedding here can expect first class food and service; the experienced banqueting team have centuries of experience in such a specialist field. Pembroke Lodge is fully licensed and can provide a corkage option when required. This venue provides everything you need for a fabulous evening reception. It has an entertainment license, DJ and live band facilities, as well as a dance floor. There is car parking for up to 250 vehicles adjacent to the lodge grounds. Pembroke Lodge has a fascinating history with royal and parliamentary connections. You may be interested to learn that this grand property began its life as a humble one room cottage prior to 1754. It was home to a mole-catcher whose sole duty was to prevent peril to park huntsmen caused by molehills. Over the years it has been enlarged and occupied by Royalty from Elizabeth, the Countess of Pembroke. The Countess became so fond of the property she begged King George III to grant it to her. In 1787 the King granted her request and built another lodge for Trage to live in. In 1847, Queen Victoria granted the Lodge to the then Prime Minister, Lord John Russell. The property was then passed down through the Russell generations. It was taken over by a wealthy industrialist, John Scot Oliver in 1929 before being requisitioned by the GCHQ Liaison Regiment (known as Phantom) during the war. More recently there has been much uncertainty about the future of Pembroke Lodge, and around 12 years ago there was a long battle to keep the Lodge open to the public. 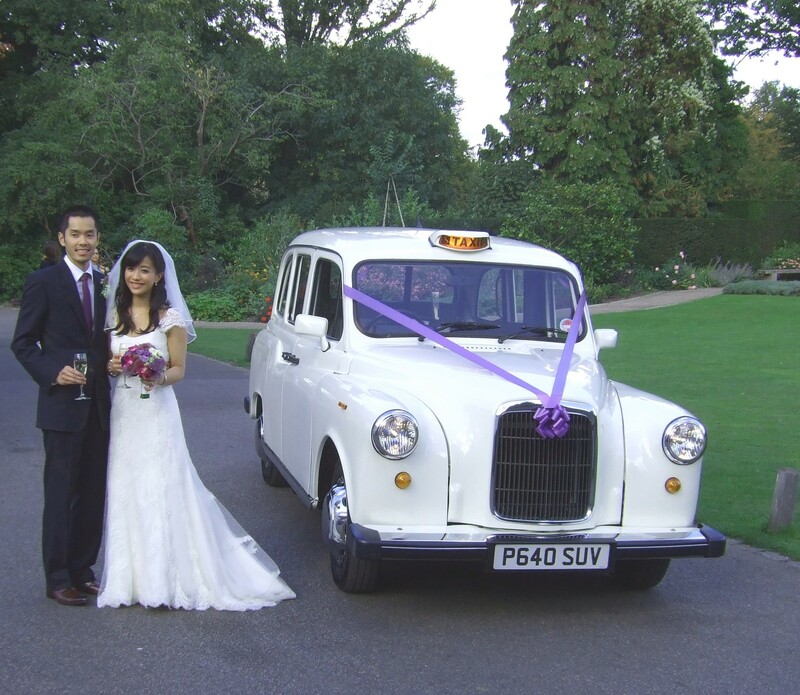 Since its major refurbishment it has become one of London's most popular wedding venues. As a result its staff are experts in their field and well versed in everything needed to make for the most exceptional wedding celebrations. 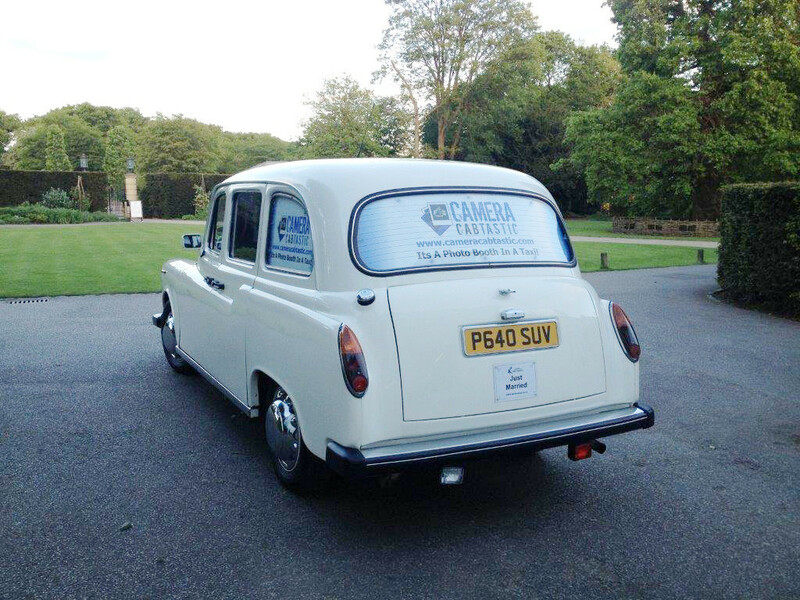 Here at Camera Cabtastic, we pride ourselves on our service, providing White London Taxis for Weddings and Photo Cabs equipped with real Photo Booths inside. Since our start, we have provided unique services to 100's of Parties, Weddings and Corporate Events across, London, Surrey, Sussex, Hampshire and Kent.